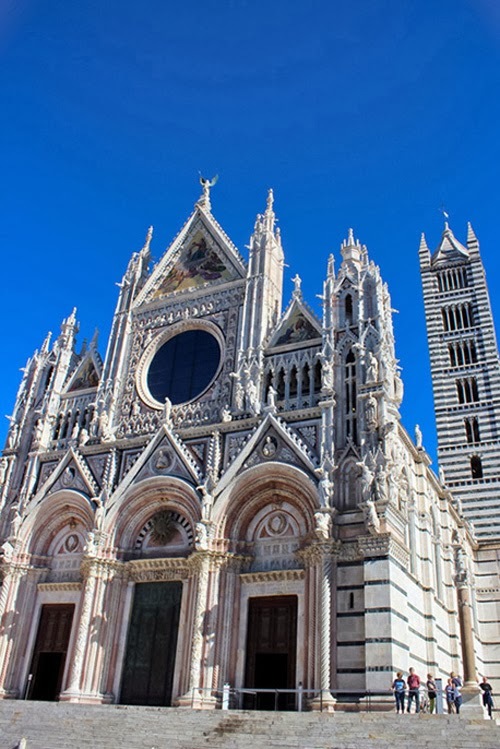 I didn’t know anything about Siena and it was a magnificent place to discover. 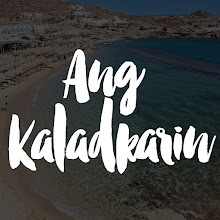 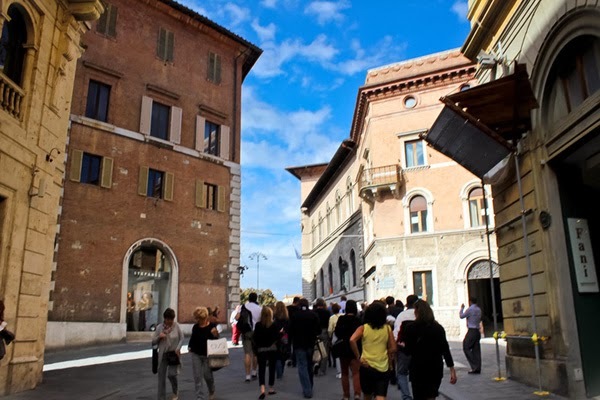 It’s a charming little town you’d want to explore and walk around in. 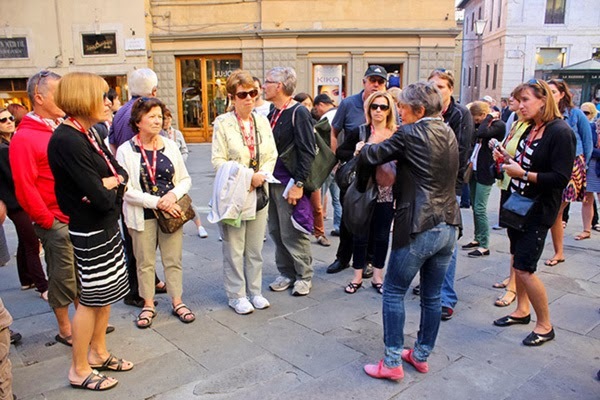 When we reached Siena, we were handed off to another tourist guide who was a local - I’m sorry but I forgot her name. 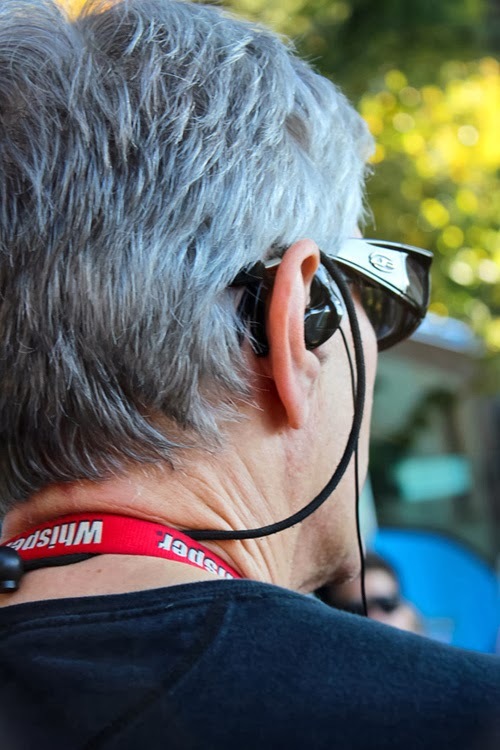 We were given headsets for our tour; this was a first for me. 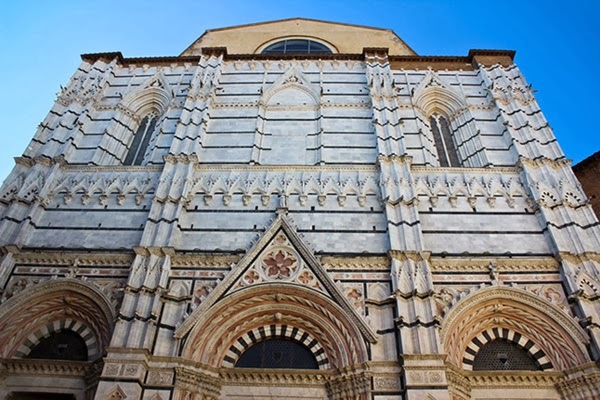 Not a lot of people know that Siena was made famous for the banking industry. 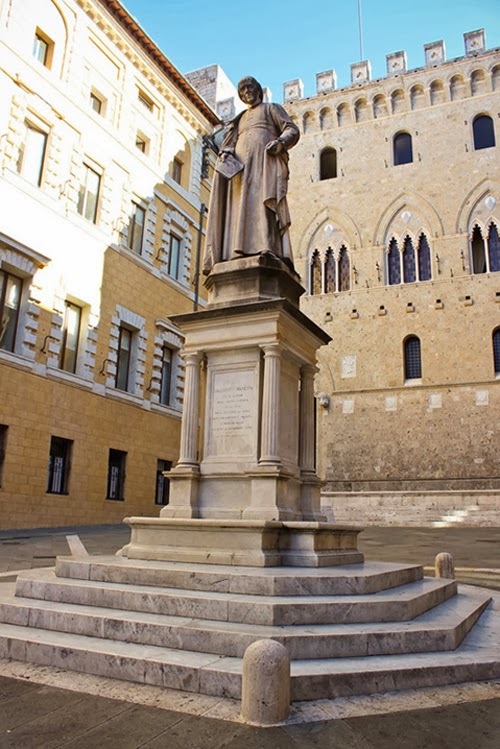 The Monte dei Paschi di Siena established in 1472 is the oldest operational bank in the world. 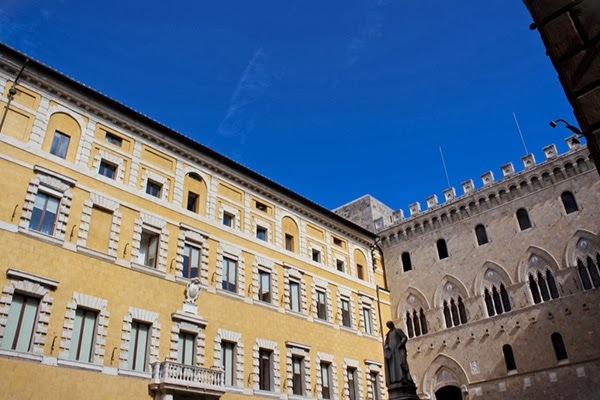 This is their office building – true to Italian architecture, it’s a beauty. 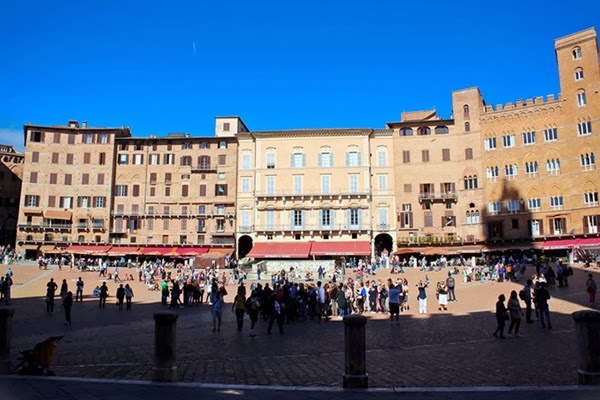 The Piazza del Campo is Siena’s center, it also happens to be a Unesco World Heritage Site. 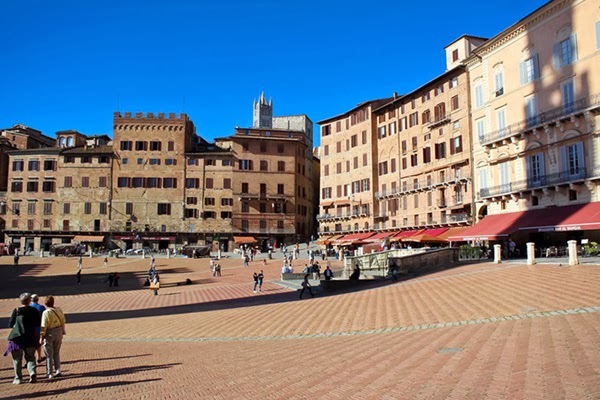 This piazza is the heart of the city surrounded by eateries, cafes and establishments. 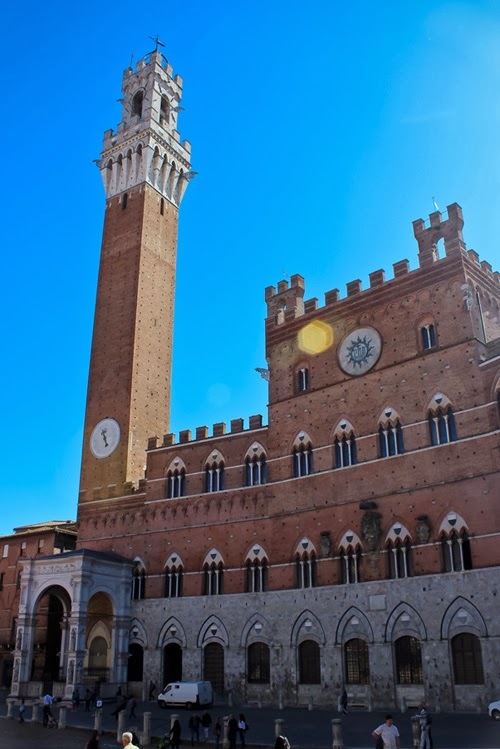 I mentioned the Palio in the previous post. 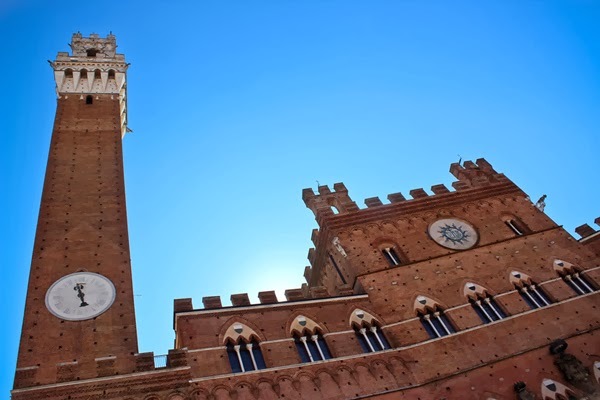 What is the Palio di Siena? 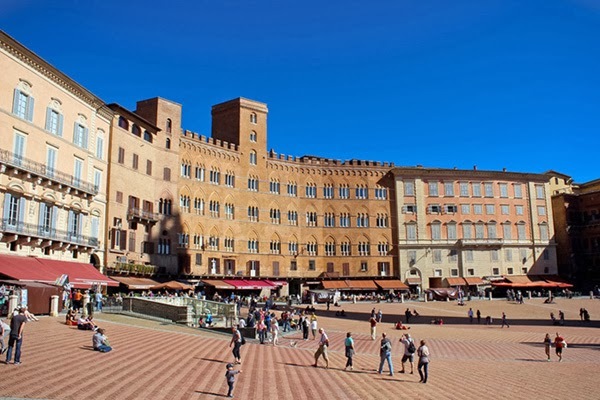 It’s a horse race every July and August in Siena and it is held at the Piazza del Campo. 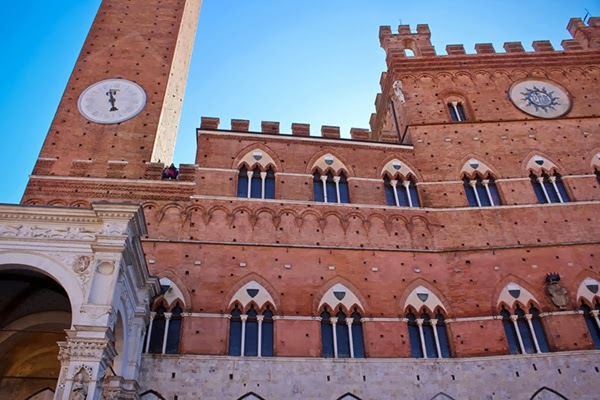 The Town Hall is smack right in Piazza del Campo. 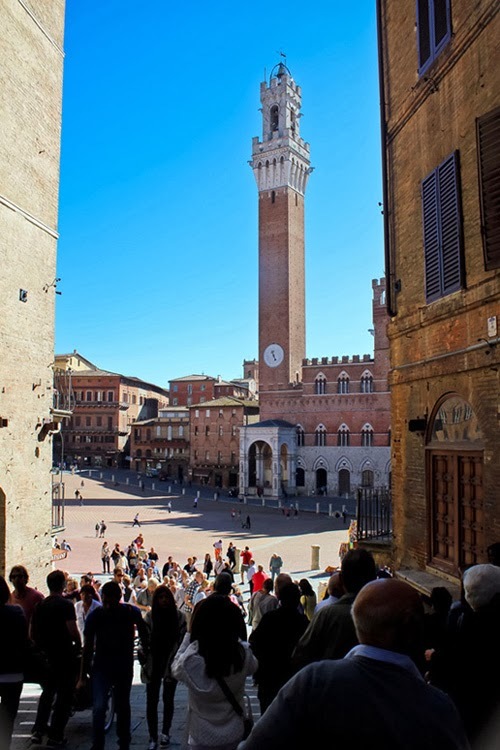 The massive tower called the Torre de Mangia is one of the town’s famous landmarks. 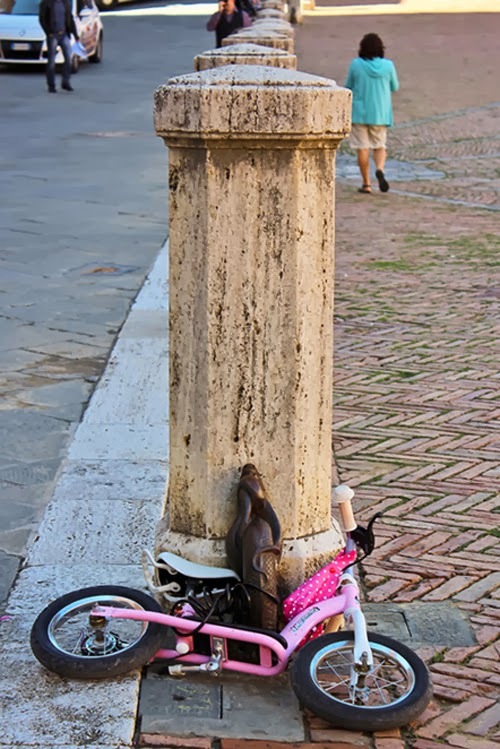 A random bike in front of the town hall. 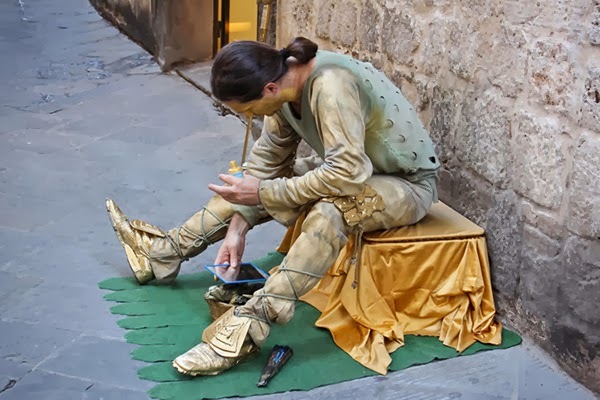 A street artist preparing for his shift. 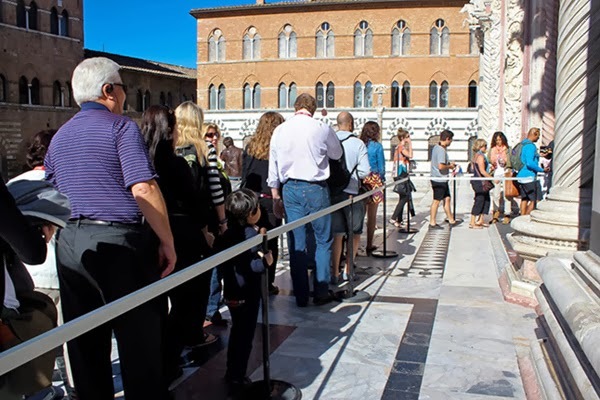 It was an uphill climb to get to the Duomo of Siena. 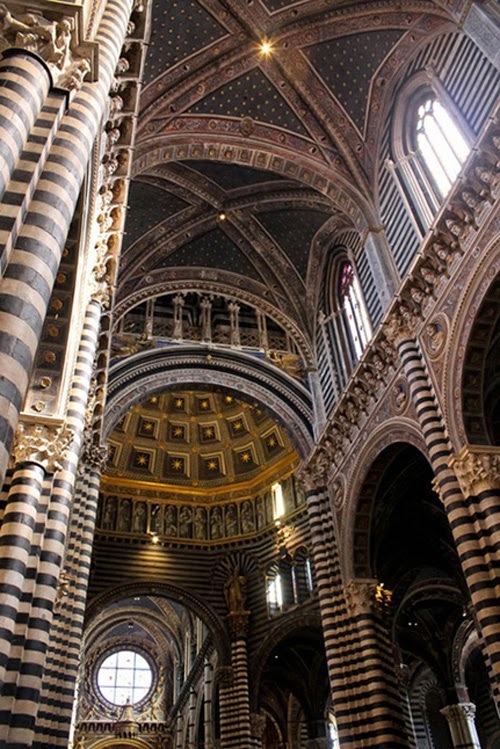 Be prepared to be mesmerized because when I was walking up, I stopped and my jaw dropped in amazement. 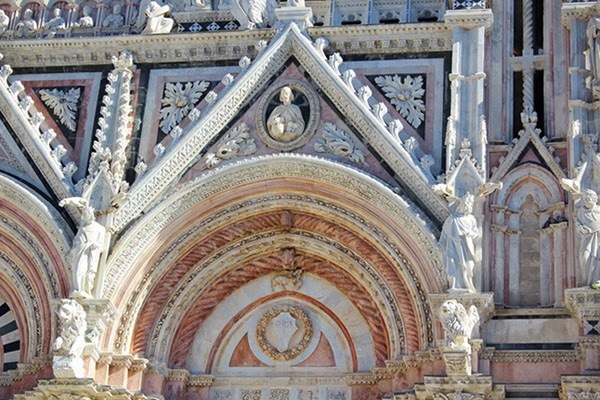 The details of the church exteriors are insanely beautiful. 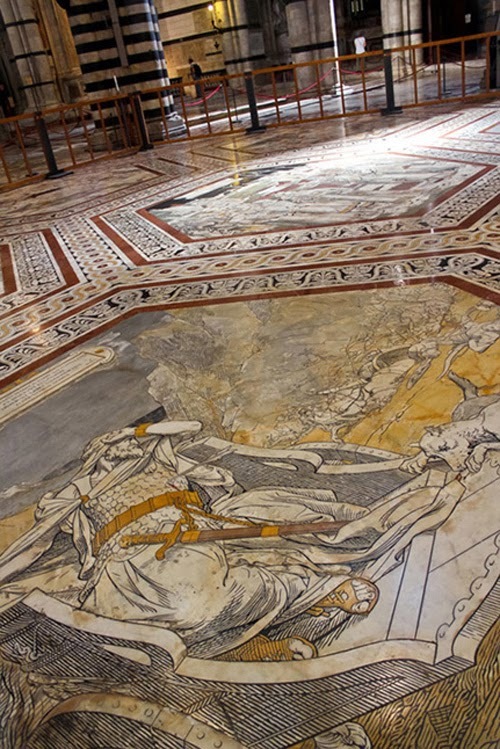 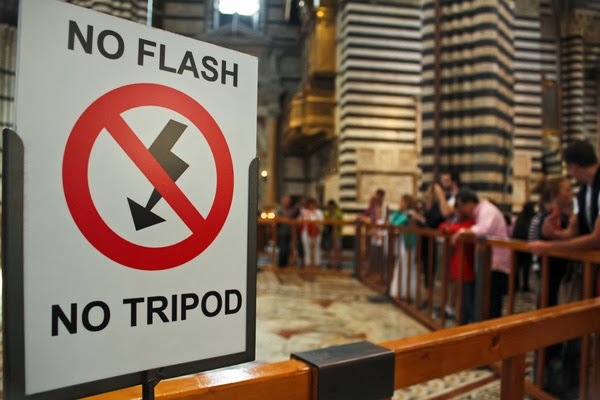 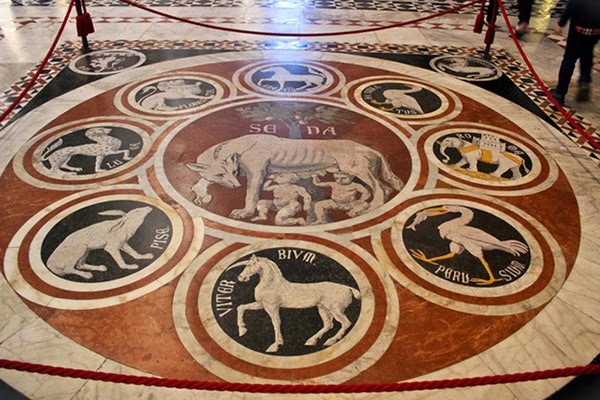 The marble floors of the church took 200 years to complete by 40 Italian artists. 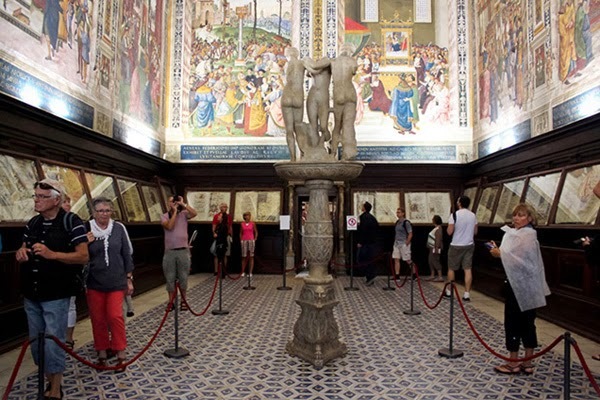 It can only be viewed by the public from September to October every year in order to preserve it. 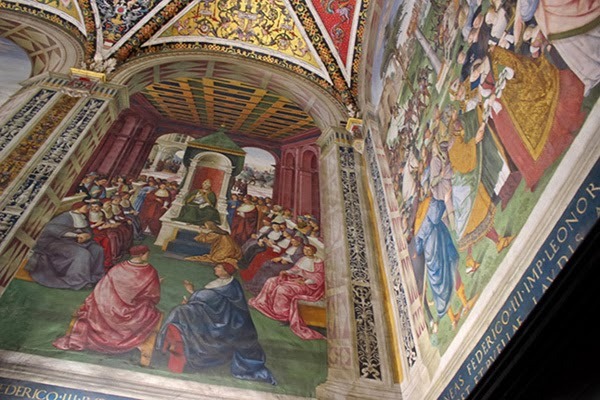 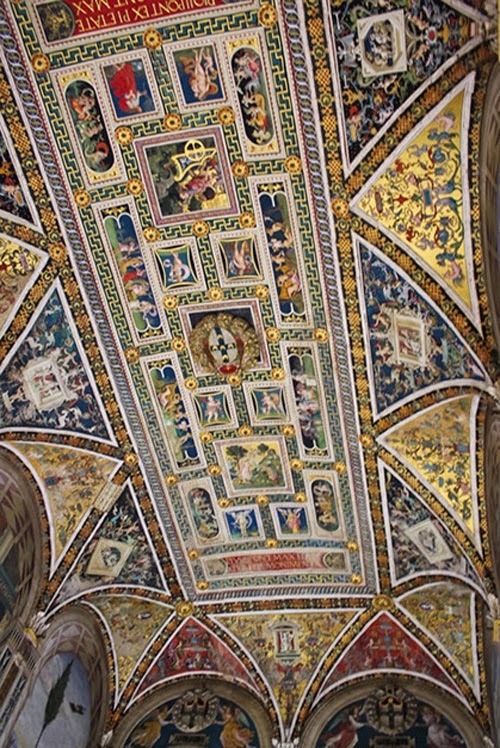 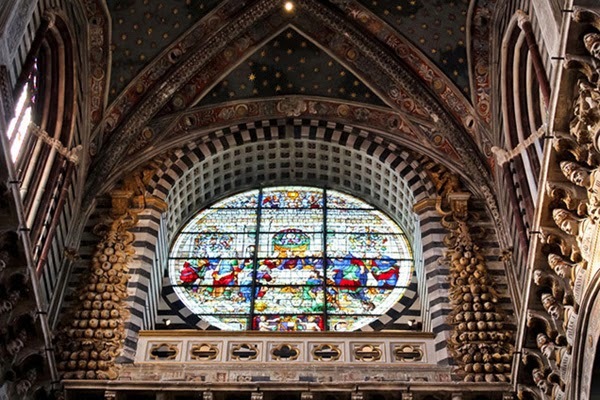 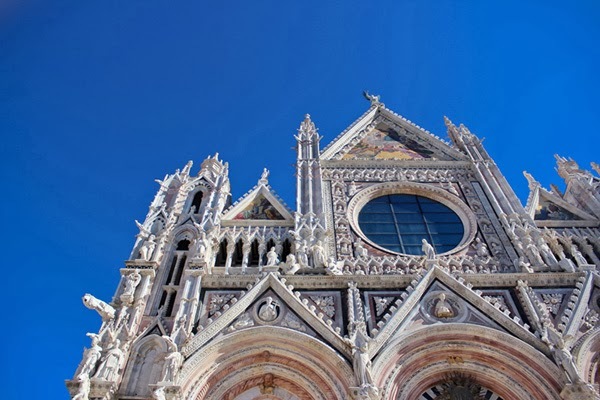 Like a lot of churches in Italy, the masters worked on the Duomo of Siena. 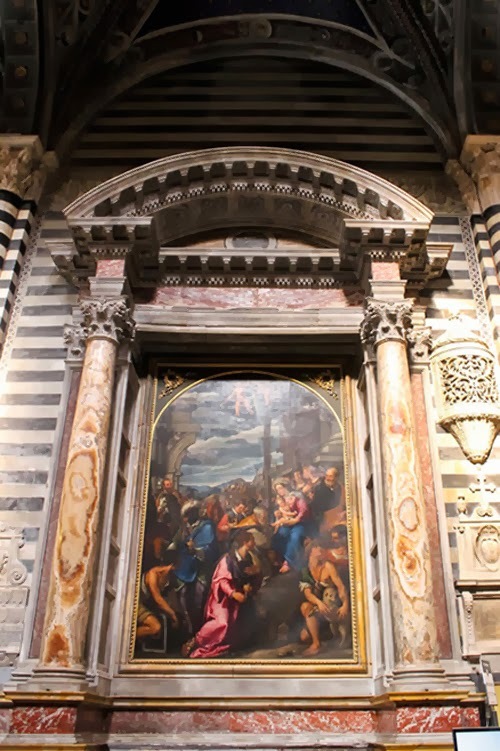 It has art by Bernini, Donatello and Michaelangelo. 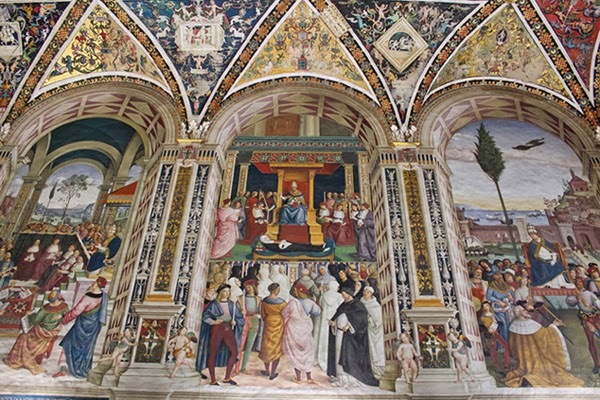 I got my fill of art is Siena and I am happy. 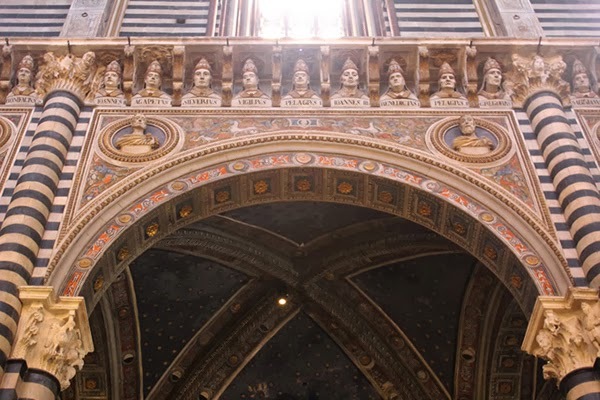 I feel fortunate to be able to visit a marvel of a place that wasn’t even in my radar.